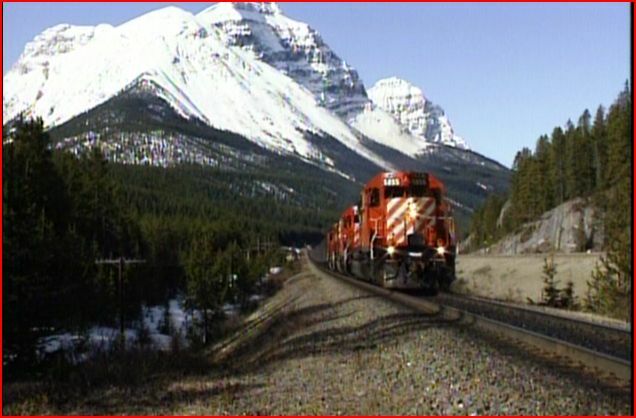 Locations: Transcontinental mainlines of Canadian National, and Canadian Pacific. 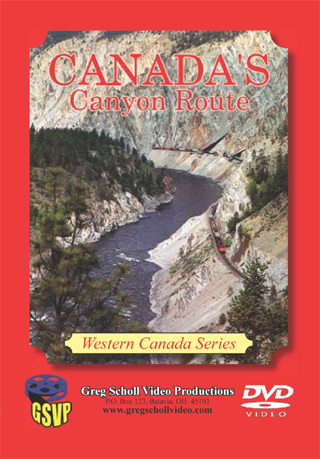 Greg Scholl’s fine Western Canada Series is available in a 4 DVD set with value pricing. This will save you money. A discount on buying the complete series, as a set of 4 DVD’s. The programs included are related by the scope, and time they were originally filmed. This results in a cohesive look at Canadian National and Canadian Pacific. The locations are the best of both railroads. There are 2 features on CP Rail. One feature on CN. Another show has both of the railroads sharing separate banks of a river, through scenic canyons. Each volume is available separately as well. Previews of other Greg Scholl titles are included in each DVD. The series programs have each been individually reviewed on American Train Video Reviews. They were received as the complete set. Following is the list of the titles, with a brief synopsis. Refer to the single reviews for more details. 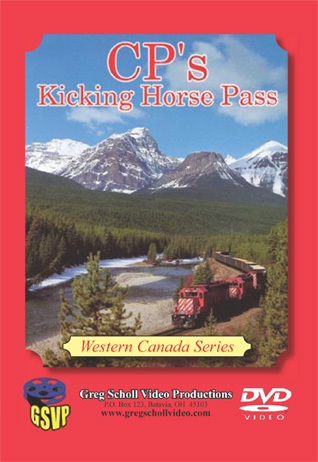 Canadian Pacific’s Kicking Horse Pass. See this famous route, from Field to Lake Louise. 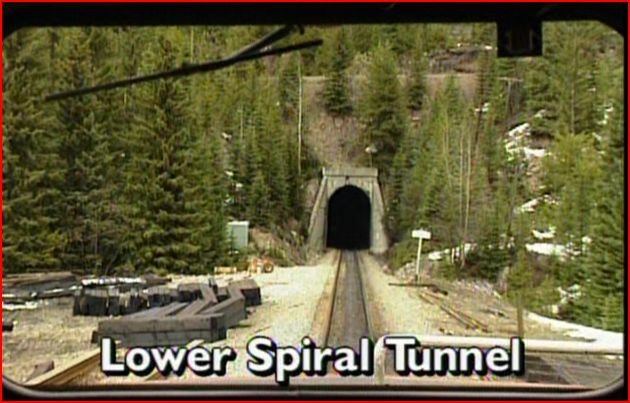 The lower and higher spiral tunnels at Kicking Horse Pass are one of many highlights. Not a long show at 45 minutes. Every minute counts and no time is wasted. CP Rail runs many trains here. Vital part of the transcontinental mainline. Spectacular scenery makes this a must see program, for anyone interested in trains. The scenic wonders will be enjoyable for non trainhead people too. Fine for the woman, the kids, try it at a public trainshow. A truly wonderful journey, through one of North America’s most beautiful places. Cab Ride Over Kicking Horse Pass. 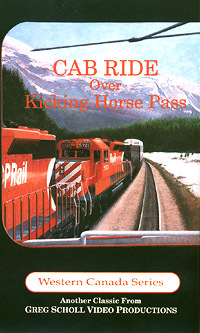 A nice companion to the Kicking Horse Pass program. Ride in the cab of a CP Rail SD40F diesel locomotive. The journey covers the 20 miles from Field to Lake Louise. As satisfying as the 1st program is, the alternate view of the line is a welcome viewpoint. A great cab ride! The camera mainly faces forward. Additional views include: watching the engineer at work, and some scenic highlights from the side window. The ride through the spiral tunnels is fun, as is the whole show. At 76 minutes, this contains a fine program. This feature also has a 45 minute runtime. 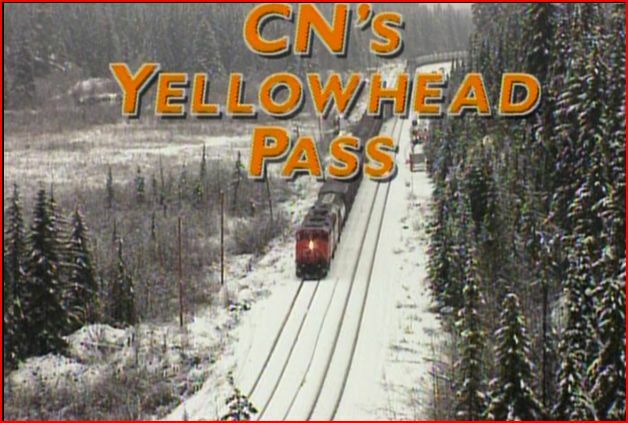 CN runs from Jasper through Yellowhead Pass, and more. Mt. Robson is the highest peak in Canada at 12,000 + feet. Action packed program with a wide variety of trains. Via rail has passenger trains. The Canadian and The Skeena make appearances. Caboose hungry railfans will get CN cabins on Prince George bound freight trains.Panaramic views from across some lakes, with some trains reflected in the water. 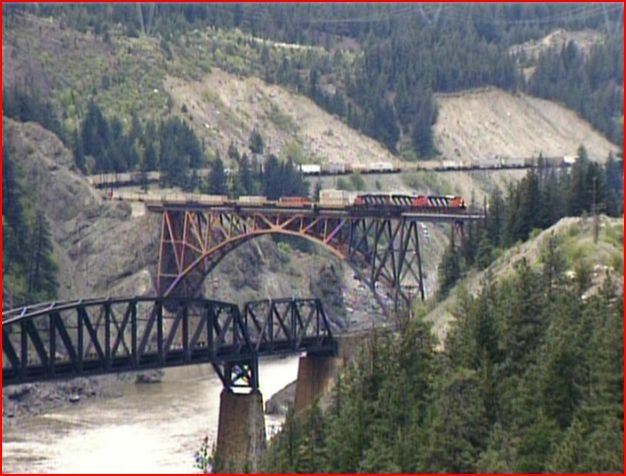 The blend of trains, scenic beauty and wildlife, gives a combination of pure Canadian bliss. This is the fourth volume. Fraser River Canyon and Thompson River Canyon. Both Canadian Pacific and Canadian National operate on their separate right of ways. A river in the center divides the railroads to each riverbank. As is the case, with Yellowhead Pass and Kicking Horse Pass, each region has it’s own natural beauty. So it goes with the Canada Canyon routes. Different from the others, awe-inspiring like the others. Runs for 60 minutes. This one has the advantage of both roads in one program. Action packed! All of the shows are highly rated on their own merits. As a complete set, they get rated higher. The interrelated programs go together extremely well. The four volumes are different sections of a complete story. The consistency offered by the high quality of Greg Scholl does give the viewer a great experience of the lines viewed in Canada. Value priced as the complete set makes this an attractive purchase. 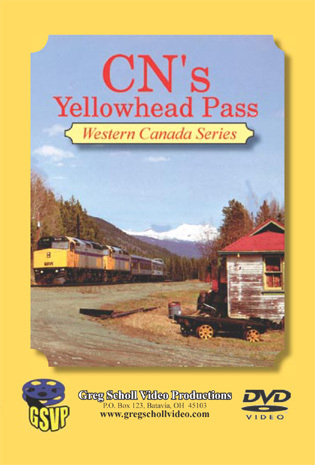 This would make a great gift for any railfan. Especially, for the hard to buy for, one that seemingly has everything. 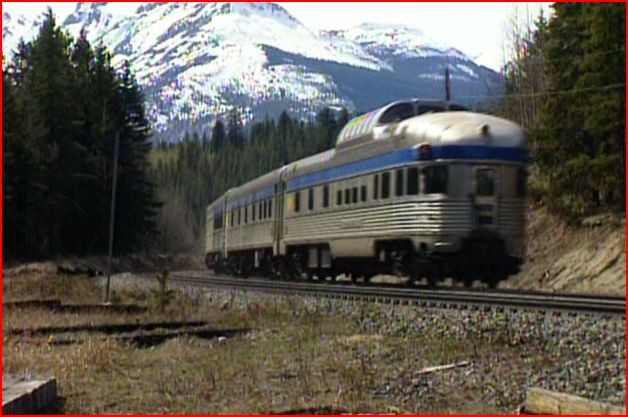 This entry was posted in ATVR Reviews, Greg Scholl and tagged American Train Video Reviews, Canada, Canadian National, Canadian Pacific, Railroad, Train DVD, transportation by William J. Hudson. Bookmark the permalink.